In 2009, as a result of a program funded by the Gates Foundation, the International Development Law Organization identified a need to strengthen microfinance consumer rights in many countries, including Colombia. In the last decade, Colombia had created new regulations and public policies aimed at increasing access to credit and financial consumer protection. However, there seemed to be a discrepancy between the protection offered by consumer finance policies and what was actually being done by Colombian microfinance institutions (MFIs). In December 2010, an analysis was done to determine these differences, which is detailed in “Protección del Consumidor y Microfinanzas en Colombia,” a paper by Daniel Mauricio Alarcón Lozano, Emilio García, and Matteo Mandrile. The investigation that ensued thoroughly analyzed Colombian microfinance laws, regulations, and administrative practices. Unfortunately, the results of the analysis showed that while regulations were in place and MFI policies seemed to be solid, there were many steps that still needed to be taken to improve consumer protection in Colombia. Among the main problems were a lack of good loan officer training and financial illiteracy. These problems eroded the protections provided by regulations and MFI policies, allowing corrupt loan officers to treat consumers unfairly. What is the Smart Campaign doing in Colombia and other similar countries? In 2011, the Smart Campaign will work with 30 networks around the world to strengthen the implementation of client protection standards in MFIs. This project will work through networks to promote endorsement of the Client Protection Principles, conduct assessments of related MFI practices, and encourage self-evaluation by the MFIs themselves. Furthermore, the Smart Campaign held a January 24-28 “Putting the Principles into Practice” session in Mexico City, where MFIs from different countries, including Colombia, were trained in the Smart Assessment process and the Client Protection Principles. One particular network that the Smart Campaign has partnered with is Emprender, which provides financial services and technical assistance to Colombian MFIs. 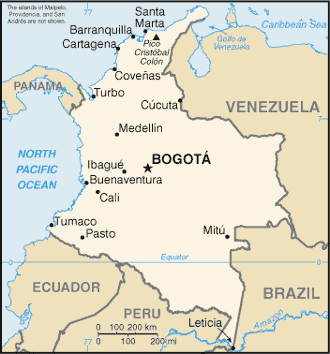 Headquartered in Bogotá, Emprender has 34 members who work throughout the country, serving around 800,000 clients. The Smart Campaign looks forward to working with Emprender and the Colombian microfinance sector to ensure that the letter of the law is followed and that client protection practices improve in Colombian MFIs.